Denne model er 178 cm og bruger en størrelse M. Brystet måler 97 cm og taljen 74 cm. 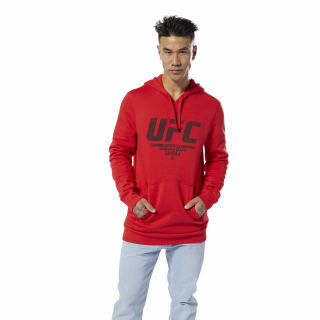 Show your fandom with this UFC men's graphic hoodie. A drawcord on the hood lets you adjust your coverage in cold weather so you can focus during warm-ups. 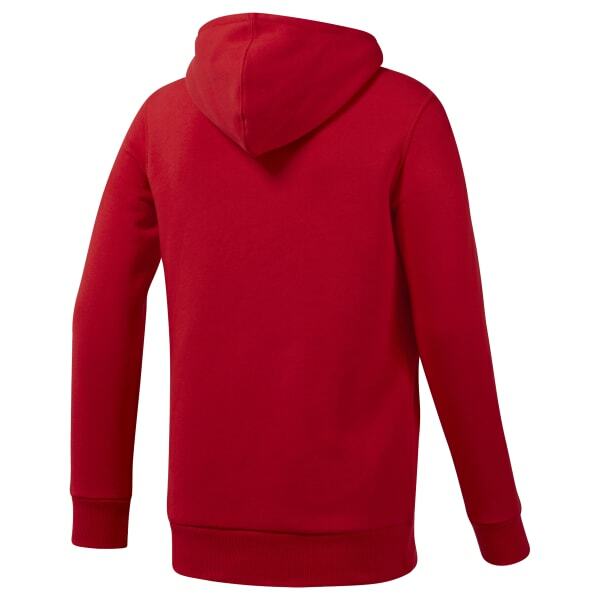 It's made of soft fleece to keep you warm during gym commutes.